Some nice pictures of the second event in the 2018 World Cup event which took place in Brazil. The Paragliding World Cup based at Aguas da Prata in Brazil was always going to be a Battle Royal. Fabric: light coming of age ? Technique : weight shift towards or away from the slope ? 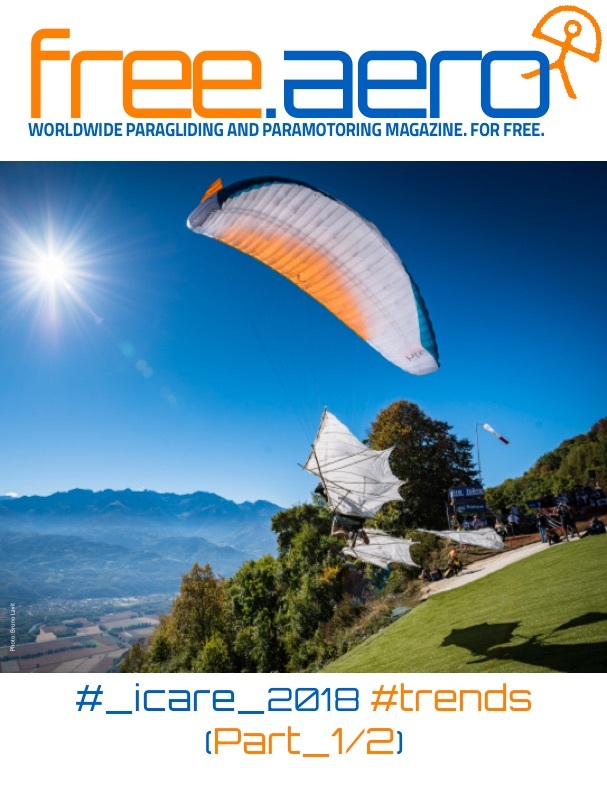 At the end of September the Coupe Icare 2016 was, as always, an amazing spectacle and the biggest showcase of free flying and paramotoring in the world. 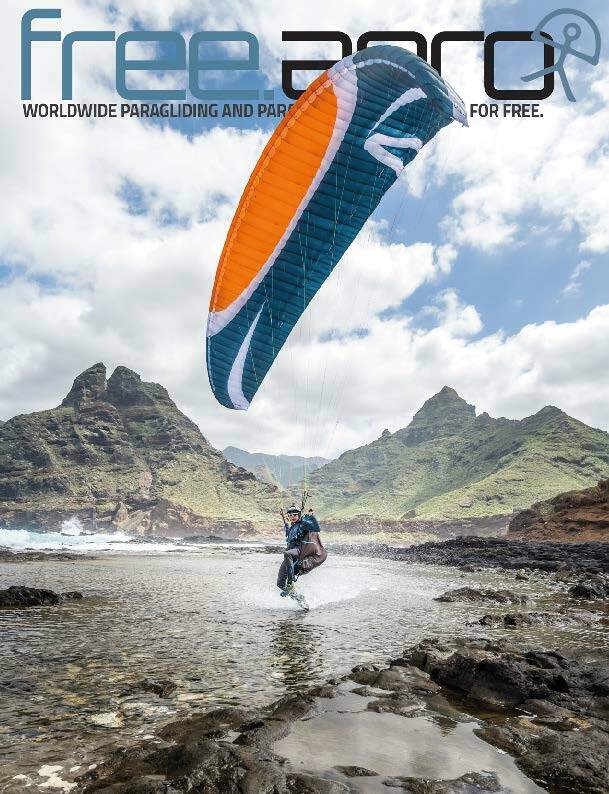 On the paragliding side, the new technology race is clearly on with the ever present SharkNose, or similar, as well as others like mini ribs right down to the EN As. The EN B category is more and more sought after, the manufacturers offering wings which are very honed and with very high performance. The Nova Phantom, an EN B with 99 cells and at the modest price of 6500€, is an extreme example. We visited most of the stands. Swing Mito - Myth or magic? First wings what’s a first wing? REFLEX WINGS: THE UNCOLLAPSABLE PROFILE? Get ready to take off for a new season! Trends for 2015. 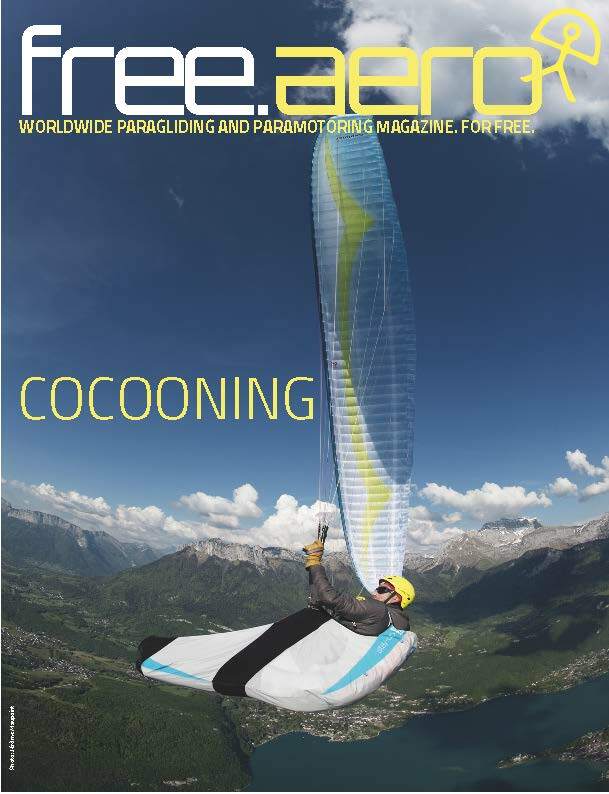 In this issue, you’ll find news and information about the people, the races, the gear and the activities which are going to be the talk of the coming season. The Spanish manufacturer asked Antonin Michaud Soret to film a promotional video for their freestyle/slalom paramotor wing, the Dobermann. Coupe Icare 2014: the paragliding festival with all the new ideas. 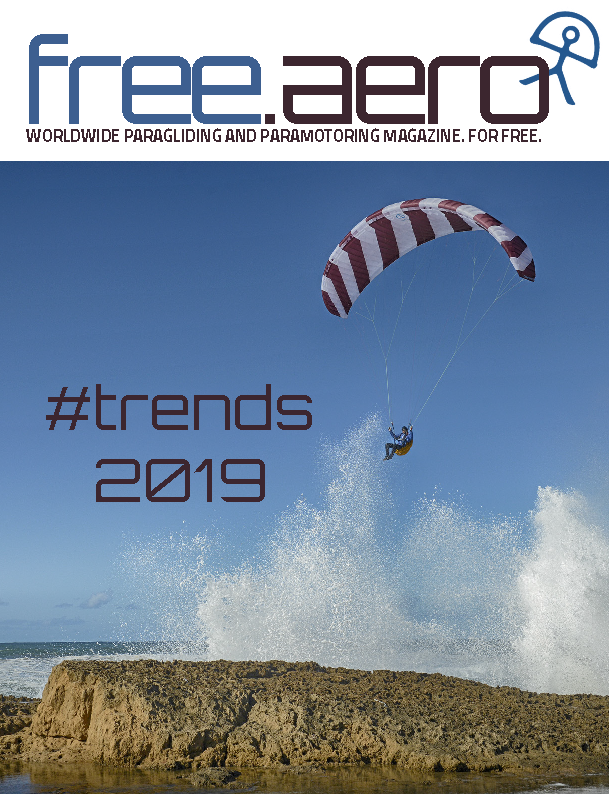 Once again, this unique ‘family festival’, the biggest of its kind in the paragliding/paramotoring world, was the place to unveil new products and market the latest trends. Clouds crown the thermals and the fabulous earthly landscape, and also represent danger. But when? Landing out, where and how? The Paragliding World Cup's new drone. Have you ever nearly cried after a flight? I have here in the Azores, on the Island of Sao Miguel. Surfing in the confluence on the crest of the Sete Cidades crater, fed by a thermic breeze on the inside and a sea breeze on the outside, is an unmistakable experience, mind-blowing, mad. Speed isn’t really the strong point of our non-rigid wings. Yet, in XC or cruising we need it. 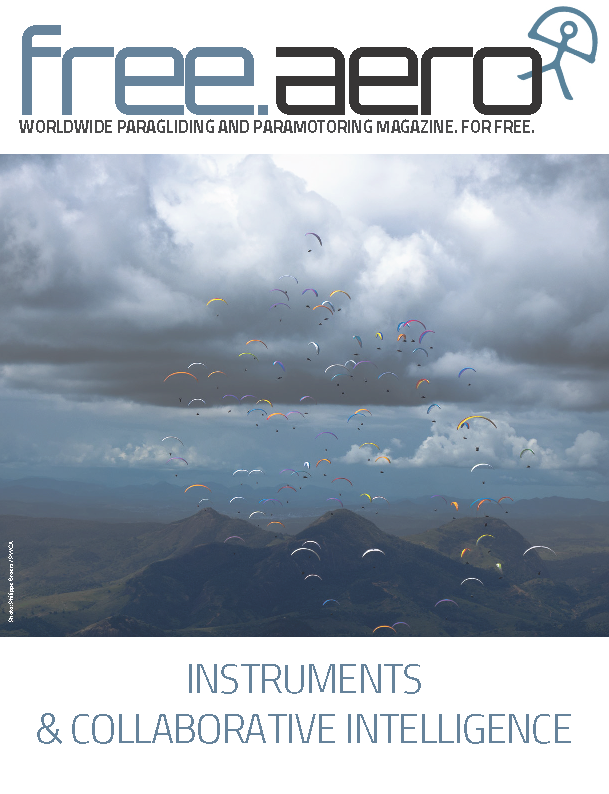 What are the limits for our paragliders and what options do the manufacturers have? During a task of the Paragliding World Cup at the Saint Hilaire takeoff, a German competitor forgot the preflight check that every pilot must do one last time before taking off (photo sequence). A symbolic flight over the Rhine. Signs in the sky - Paramotor: smoking for all! Letting go is never easy. Alcoholics, drug addicts, lovers and paraglider pilots all know! I started to write a boring course for you about stalling. Then I tried doing it on a paramotor and suddenly it became a whole lot more interesting! So let’s approach stalling here, bit by bit on a paraglider, and then on a paramotor. The comparison is surprising.